Assertiveness is the ability to maintain the right balance between your own needs and other people’s needs. It empowers those who use it. 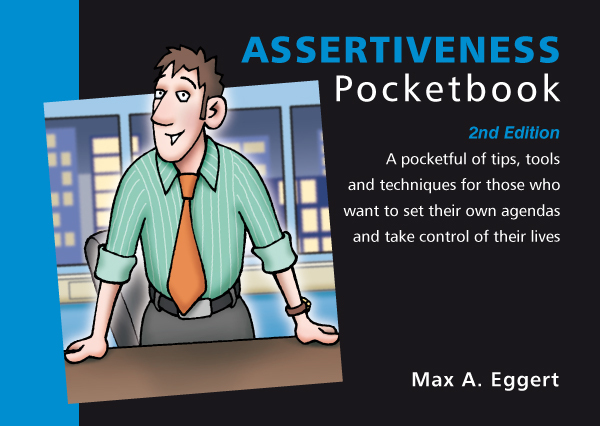 In The Assertiveness Pocketbook author Max Eggert looks at the reasons for non-assertive behaviour and the differences between assertive, aggressive and passive behaviour. Packed full of good advice on how to overcome self-defeating beliefs, and deal with often-occurring problem situations. With activities to help develop assertiveness. “Will appeal to anyone in human resources or management training. It is successful in keeping jargon to a minimum without loss of precision. The concepts are immediately relevant, and each page will offer you a new idea, a new skill or a new way to look at a situation.” Louise Campbell, Associate Director, Human Resources, Societe Generale Australia Ltd.